If you want TaxTim to file your tax returns, or you want to take back control from your previous tax practitioner, you will need access to your profile on SARS eFiling. If you think you might have registered for an eFiling profile (in the distant past), it is a good idea to call SARS and check to see if they can give you your eFiling login details. Call them on 0800 00 7277 (free call from a land line) or try the login recovery steps on their website. If you haven't registered before, then you will need to register for SARS eFiling on your own. Follow these quick steps to register. 1. After registering you will be shown an error message that says an eFiling profile for your tax reference number exists already. You must select the option that allows you to continue anyway. If the option to continue is blanked out / unavailable, phone SARS on 0800 00 7277 - it is likely that a profile exists for you already. You must then ask SARS for your login username and password. 2. Lastly, you need to remove your previous practitioner's access to your profile. 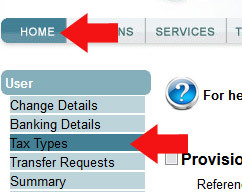 Once signed into eFiling, click on the Home tab and select Tax Types. Next, click on the green Click here text below to edit the access to your tax types. Now, click on the Remove Tax Practitioner Access button as highlighted below. You'll be asked to confirm that you'd like to proceed. Click on OK.
And that's it. You'll be shown the confirmation screen that the tax practitioner access will be removed within 24 hours. Well done! Now you have your SARS eFiling profile back under your control.